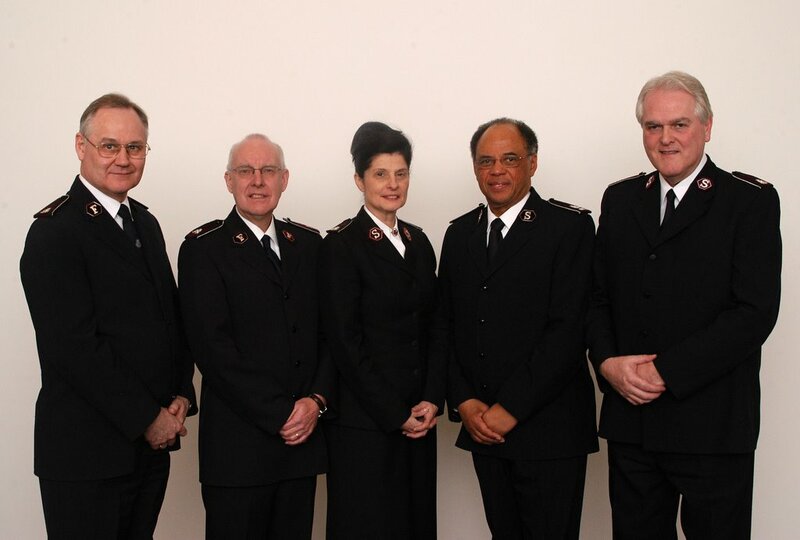 The announcement of the new General-elect of The Salvation Army will be made today at approximately 4.45pm. 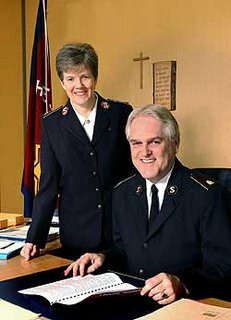 Go to http://www.salvationist.org to catch the live webcast. 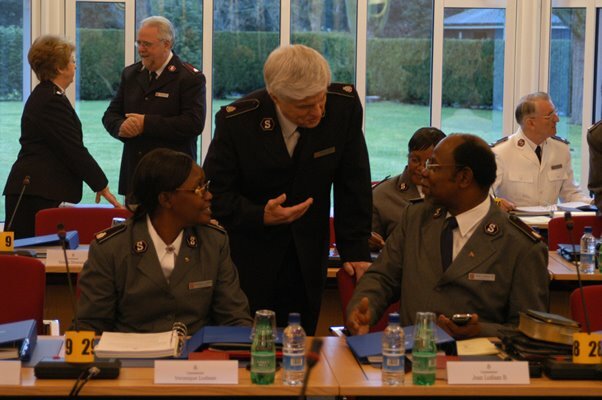 I am praying that it will be Commissioner Gaither…he is an inspirational leader and has a keen heart for mission. I think he’d bring an emphasis on mission activity. 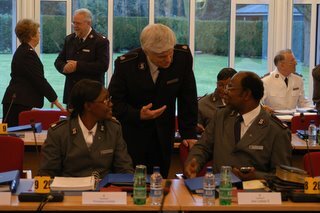 We need Commissioner Clifton here in the UK, so I don’t want him to go. I don’t know the others well, although I hear that Commissioner MacMillan is a lady to be reckoned with. ….that Gods will be done is our prayer. 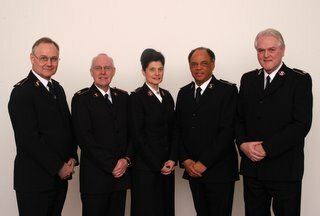 This week The Salvation Army High Council meet at Sunbury to elect the successor to General John Larsson. A beautiful reminder of the internationalism of the Army and when its all gathered in the one room its great. 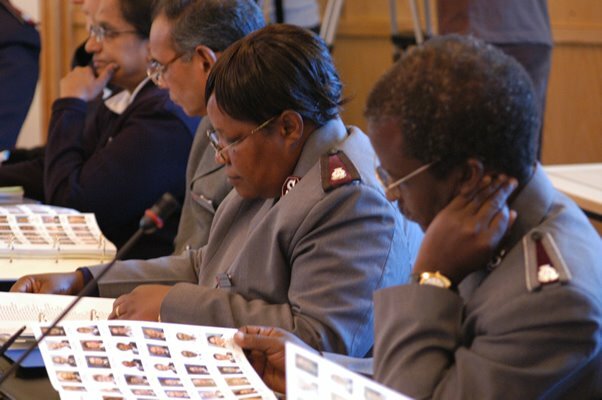 Marvellous to see the 100 or so high ranking officers from all nations and tribes and tongues gathered…a little glimpse of the foretaste of heaven. And of course, we in the Army make it all the more colorful with navy, white, cream, grey uniforms with all their local national styles and expressions. A strong reminder that we’re called to win the world for God….there before us were leaders representing the Army’s work in 111 countries. Good to hear of plans to open in Nicaragua and Greece in the near future. The sun never, ever, sets on The Salvation Army flag! Glory Hallelujah! The General preached about the importance of keeping our hand to the plow and not looking back. He talked about not forsaking our call to Aggressive Christianity (Hallelujah), about not relying on programme, about being daring and bold for the future. God bless the General, God bless the High Council, God bless the Salvation Army. It hasn’t been my intention for you to be meditating on the sweetcorn message for a few days, but I’ve had a lot happen, at the corps and in life in general. Firstly, here is a little image for you of our kids weekend. We had Doug Horley (Duggie Dug Dug) for the day and the kids had a really great time. Doug is a kids worship leader and evangelist and gave us a really good day. Prayin that his ministry will have fruit amongst our kids. We’re in the middle of our month of prayer at Pill and we’re not only amazed at how many of our people have been responding to the call of prayer, but amazed in the way that God is speaking through times of worship and intercession. We have another exciting two weeks to go before we begin our corps mission review, which will mark out the next 5 years mission for us. We’ve been blessed to see many signs of growth in terms of people looking to take steps for leadership and signing up for recruits classes and we want more of that. Please Lord! We’re hoping for a greater mobilisation for the harvest to come. So, yeah, 2006 is shaping up well. I’m hoping to be reporting news of people saved. Will ou join in pray for that with me? Thanks! 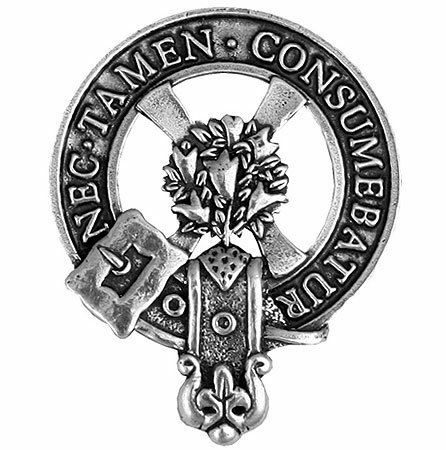 Anyway, just a quick update, got a few mind benders in store to think through in the medium of this blog in the days to come, so hope they will be a blessing and challenge.